Gorgeous blossoms! And that egret – so lovely! A great mirror reflection of the egret. She is graceful and beautiful. I love the beautiful egret and the gorgeous blossoming trees. It is a beautiful time of the year. thanks for sharing. I’ve read both Lucette Lagnado’s books, and yes, she is a wonderful writer. There is a lot of sadness in her tale, but she is also able to find the good in people, especially within her family. 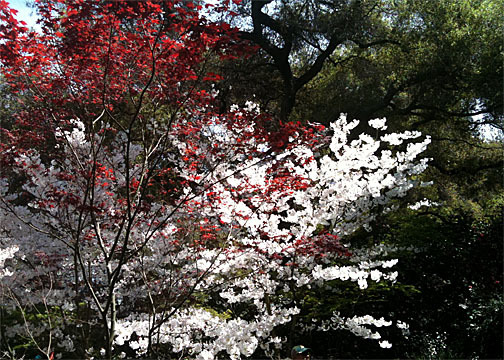 Love the red and white combination of tree blossoms. I enjoyed her first book, and just know I will like this one, as well. Beautiful spring shot. 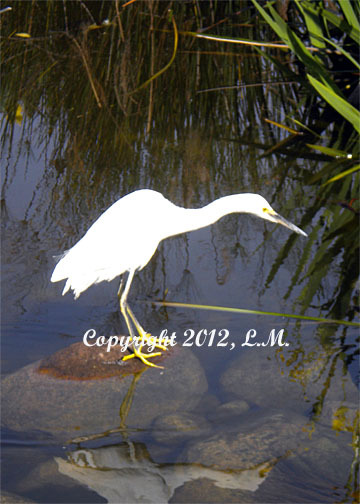 I love the photo of the egret. All of these photos are wonderful. I like your photo of the egret, but those trees in bloom are spectacular. Such a lovely look at your world! Beautiful trees in bloom and, of course, I love the egret! Hope you’re enjoying a great week! Thank you, Sylvia, and I hope your week is going well, so far. Lucky you to have captured the great egret with your lens! 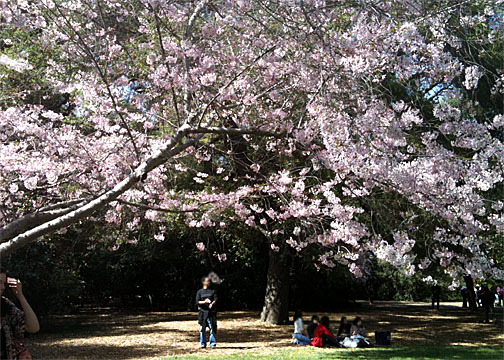 Your second pic looks like a Japanese painting -wonderful! The third pic looks like just one branch of it -must be a big tree! Lovely egret:) Your wold is very pretty! Beautiful photos, love the egret.